This talk carries two (2) CPD points. · Registration counter will be opened at 2.30 pm on the day of the event. 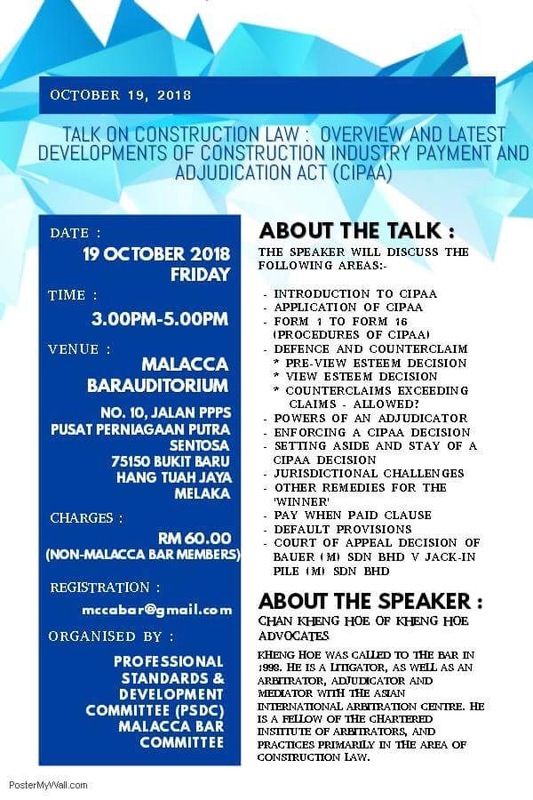 To register for this talk, please complete and submit the attached registration form together with your payment to Malacca Bar Committee office.